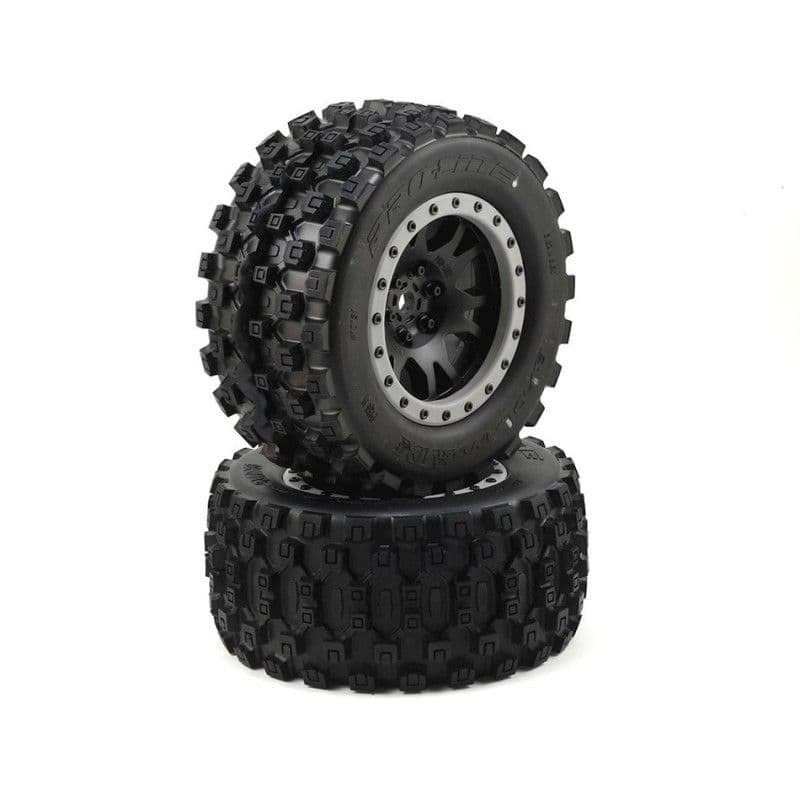 The Pro-Line Badlands MX43 Pro-Loc All Terrain Tire is the ultimate tire solution for X-MAXX owners. Pro-Line Badlands take the Motocross inspired tread and elevate the look a Bigger and Bolder knobby tread that matches modern MX tires. 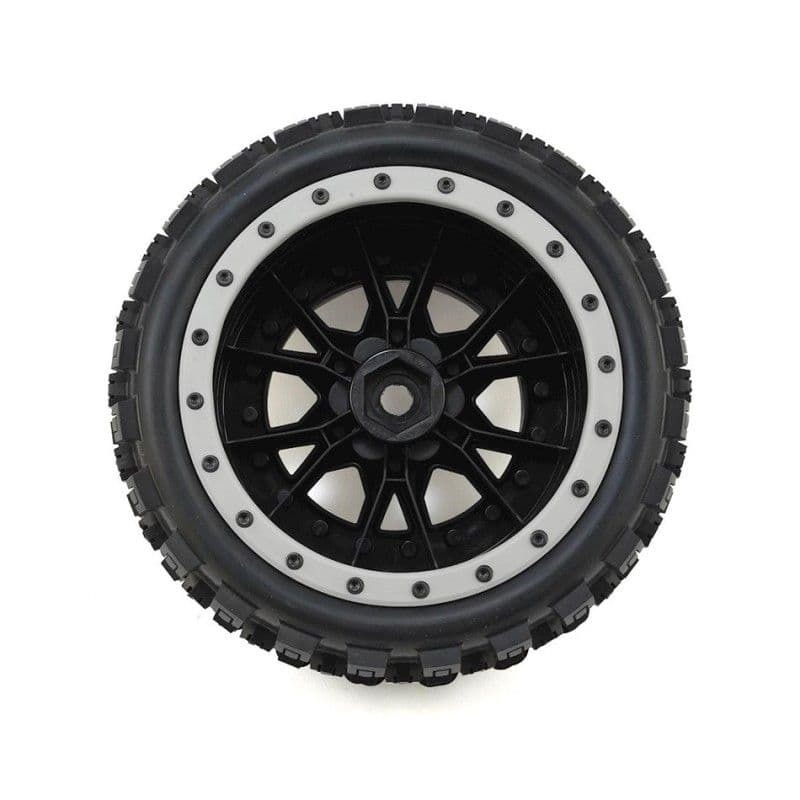 These tires have been developed from the ground up for extreme X-MAXX punishment with an all-new ultra-durable compound that prevents tire ballooning even at high speeds. Pro-Line X-MAXX Impulse Pro-Loc Black Wheels feature a ground breaking Bead-Loc design that allows users to change tires or foams when necessary without worrying about the tires coming out of the bead. Pro-Line’s proprietary Pro-Loc Technology brings this feature to life and creates an ultra-secure bond between Pro-Line’s Pro-Loc Tires and Pro-Line’s Impulse Pro-Loc Wheels. The reinforced Tire bead of Pro-Line’s Pro-Loc Tires fits into a uniquely shaped channel on the wheel and the bead-loc screws actually pass through the tire rubber before being pinched by the outer bead-loc ring to create the maximum possible mounting security.